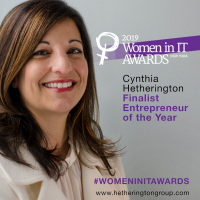 (Wanaque, NJ) Cynthia Hetherington, founder and president of Hetherington Group (Hg), has been awarded the prominent Enterprising Woman of the Year Award in the “over $1 million and up to $2 million in annual sales” category for 2019. Headquartered in New Jersey, Hg is a consulting, publishing, and training firm that leads in due diligence, corporate intelligence, and cyber investigations. For the past three years, Hg has shown a consistently strong 50% growth and is on track to expand operations with a 50% increase in investigators and a 20% expansion in support staff. In its 17th year, The Enterprising Women of the Year Awards is widely considered one of the most prestigious recognition programs for women business owners. 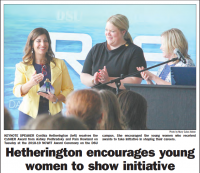 To win, nominees must demonstrate that they have fast-growth businesses, mentor or actively support other women and girls involved in entrepreneurship, and stand out as leaders in their communities. 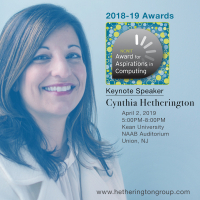 Ms. Hetherington, MLS, MSM, CFE, CII applies her expertise of library science and information systems to provide clients with strategic insight into research and complex investigations. During her career, she has assisted clients on thousands of cases with Internet investigations related to employees, intellectual property, and reputation management. 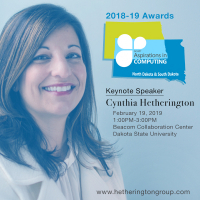 Ms. Hetherington has uncovered well-hidden relations between fraudulent associates, their assets, and secrets by scouring online open sources and databases, and, when required, boots-on-the-ground work. Her international investigations for Fortune 500 companies have honed her research skills in the Middle East, Europe, and Asia. Partner organizations represented on the Enterprising Women Advisory Board and supporting the 2019 event include: The Women Presidents’ Organization, National Association of Women Business Owners, Women’s Business Enterprise National Council, Women Impacting Public Policy, National Women Business Owners Corporation, Institute for Economic Empowerment of Women, The Global Initiative for Women’s Entrepreneurship Research, Women’s Business Development Center, Quantum Leaps, Springboard Enterprise, UnitedSucces, National Association of Women in Real Estate Businesses, Small Business & Entrepreneurship Council/Women Entrepreneurs Inc., Women Entrepreneurs GROW Global, Women’s Leadership Exchange, The International Alliance for Women, Asian Women in Business. 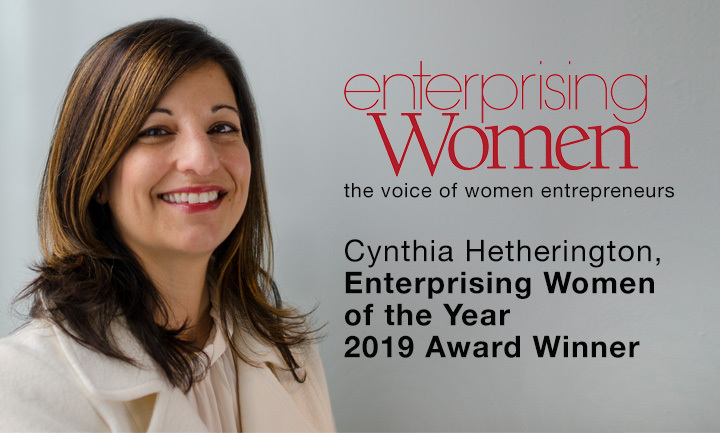 Enterprising Women magazine headquartered in Cary, NC, is the nation’s only women-owned magazine published exclusively for women business owners. Celebrating its 14th anniversary in 2014, the publication chronicles the growing political, economic and social influence and power of entrepreneurial women. Enterprising Women provides a friendly meeting place, a public forum, and an international stage for the critical issues confronting women’s businesses and daily lives, all from the unique perspectives and experiences of entrepreneurial women. The magazine’s digital edition, launched in 2008, reaches nearly one million top-level women entrepreneurs in 185 countries around the globe.